When it comes to finding a sedan that fits all of your needs and wants, deciding which vehicle to choose can be a hard decision. Along your search, you have most likely come across the 2017 Acura ILX and the 2017 Audi A3. Both are impressive vehicles that offer the feeling of luxury. However, if you want a vehicle that is packed with more standard and available features that will bring you all the comfort and convenience that you need and want while on the road, look no further than the 2017 Acura ILX. If you haven’t had a chance to see the 2017 Acura ILX, check out the list we’ve provided below. Hubler Acura is here to provide you with all the facts in order to help you make an informed decision! Although the 2017 Acura ILX and the 2017 Audi A3 have quite a few things in common, there are a variety of features that differ between these vehicles as well. 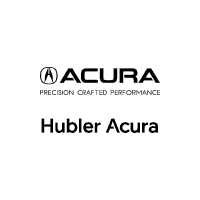 Find out which vehicle is the right one for you by using the comparison table that Hubler Acura has provided for your convenience. If you’re interested in becoming the proud owner of a 2017 Acura ILX, contact us directly, or stop by our dealership at 1265 US Highway 31 S., Greenwood, IN 46143 for a test-drive. We look forward to seeing our customers from Greenwood, IN, and throughout the Indianapolis, IN, area!